VMware has released vCenter Server 6.7 Update 1 and with comes with a number changes. That’s no where near all of the changes though, there are many more changes and updates in the 6.7 Update 1 update. Be sure to read the full release notes here. In this post we’ll see just how easy it is to upgrade from VCSA 6.7 to VCSA 6.7 Update 1 in just a couple steps! Just recently we have some hardware issues in our primary datacenter and during that time had a few VM’s that became unresponsive and needed to get them back online. The VM’s had stopped responding to the normal vSphere commands to reboot, shutdown or even restart. 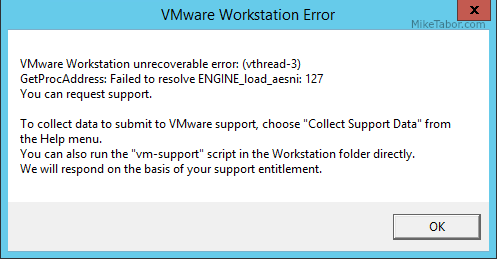 I didn’t want to power cycle the entire ESXi host and instead just power off an unresponsive VM. Here is a quick and easy way to do just that using ESXTOP. Just a quick heads up! Over the last week I’ve been upgrading our vCenter servers from version 5.5 to the most recent 5.5 Update 3b version and have ran into a small hiccup.